Remodeling your kitchen, or even just replacing your countertops, is a great investment for your home. 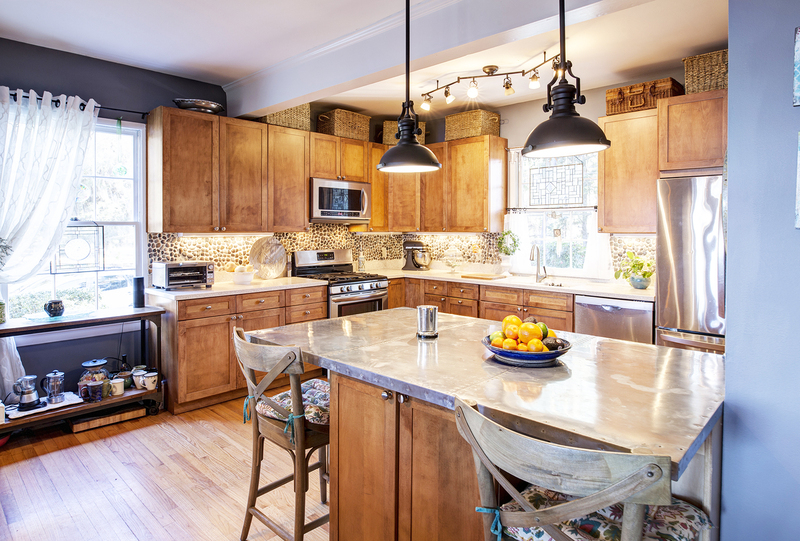 Kitchen countertops are a focal point of the room and often draw attention to their beauty. For many, the biggest decision is how to choose between granite or quartz. Granite and quartz each have their own special advantages. Granite is a natural stone that has been mined and left in pure stone form. It is then cut to size, and polished before being installed. One reason people choose granite is for its natural beauty and unique appearance. The veins and swirls in granite slabs are like fingerprints in that no two are the same, meaning that your kitchen countertops will be truly one-of-a-kind. Granite is available in numerous colors, making it easy to coordinate with your color scheme, and can be obtained in wide slabs. It is durable and long-lasting. The daily care of granite involves just wiping with soap and water, it but does also require periodic sealing to keep it from being damaged or stained by water or other liquids. Quartz is made of a combination of mainly crushed quartz and some polymer resin, along with color pigments. It does not have the intricate patterns of granite, but those homeowners looking for a simpler look in their countertops would do well to look at the plainer style of this material. Quartz is stain and scratch resistant. Its low-maintenance upkeep means that once it is installed, it can basically be left alone. This engineered product also calls for cleaning with soap and water, but unlike granite, does not require sealing and is even more durable. Once you have made the decision to remodel all or part of your kitchen, you should determine what type of countertop best suits your needs. You cannot go wrong with choosing either granite or quartz kitchen countertops to give a finished, contemporary feeling to your room.